Gonna miss your posts Bob, but I certainly understand the reasons behind a sabbatical. If you want any suggestions with the Wordpress themes I would be happy to help. The choices can be almost overwhelming at first glance. I will be looking to welcome you back with your enhanced website and a refreshed view of your spirituality. Bob, We'll miss you while you're gone, and will welcome you back when you're ready. And when the time comes, I'd like to hear your report on the wordpress experience. I hear it's more difficult to work with, but does offer more options, better presentation. Just one piece of advice about your sabbatical: At your age (our age), don't go skiing! Will miss your blog but nice to know you and Betty are right around the corner! Everyone needs a refreshing break now and again!! Enjoy your sabbatical Bob, I can only imagine how much turning out a new and interesting post every few days wears you down. Take care and whatever you decide to pursue I hope you find it engaging and fulfilling. Bob, I always admire someone who recognizes what he/she needs and acts on it. I will miss reading your blog while you are on sabbatical and look forward to its return. Refresh. Reboot. Renew. Thank you for all the work you've put into this blog. I have received so much information and am now getting ready to start my own retirement. Enjoy. Very nice that the blog is not something you're required to do, whether you feel like it or not. It's a great blog; we'll all welcome you back when you feel like coming back. Have a wonderful time away! I totally understand but your regular insights will certainly be missed Bob. Enjoy your sabbatical! You have helped many people adjust to their retirement years...I speak from the heart. Best to you and Betty! 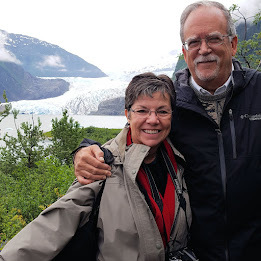 One of the best blogs out there, A Satisfying Retirement means you take the time to decide what the next step is.Hope you enjoy this next phase of retirement. May your time in study be a blessing to your heart, soul and family. You're a smart man, Bob. Good luck as you refresh yourself! I'll miss your blog, but I can only imagine the time and effort you have put into it. I applaud your taking time for yourself to pursue your interests without the pressure of writing and research deadlines. All the best, and I look forward to whatever you decide to share when you return. I can understand and hope that you will give yourself plenty of time to recharge those batteries. When a pleasant pastime becomes work, it ceases to be fun. Several years ago, I came across Satisfying Retirement and found it extremely worthwhile reading. At the time, I was several months into retirement and Easin' Along was just getting up and running. I asked you to look it over and, if you found it worthy, to consider adding it to your blog roll. I don't know if you found it worthy, but you were kind enough to list it and have sent many readers to our website. I remain very grateful. Best wishes in whatever you do to enjoy your Golden Years over the next few months. A "Satisfying Retirement" is still the best gig going. If you come back to us, I heartily endorse Wordpress for blogging. Although I'm still learning, I have found it to be great for what I want to do. If you make it to Tennessee, I would love to meet you. I've never commented except once or twice but I always look forward to reading your blog. Not sure how I originally found it but I have been a loyal reader since about the start I think. The oldest blogs I can remember off the top of my head were when you were still involved in prison ministry. Since I live in Phoenix - Anthem in the North Valley - I always hoped to see your face sometime and introduce myself. In some ways our lives had parallel tracks. I think I recall that you lived at one time in West Chester PA? I grew up very near to there. I also devoted too much of my career to traveling on the road - in my case steel industry - to the detriment of family. Realized it too late but trying now to make up for lost time. I'm a "don't miss" reader of your blog but I think this might be my first message back. Your insights, your topics, your style have all been of value to me. I will miss you while I totally support your wish for a break. I will await your return. We hope you enjoy your time away from the blogging life. All the best to you and Betty. Well, Bob, you will be missed here in R.I. I have looked forward to your posts. I usually read them out loud to my husband and we usually have plenty to discuss regarding the topic. Everyone deserves a break. Enjoy your time off. 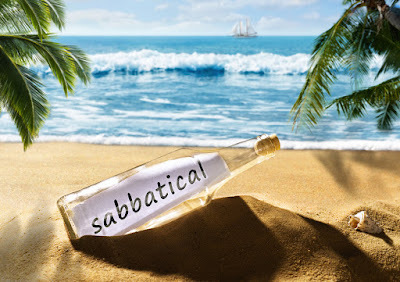 Having spent most of my adult life in academia, I am well aware of the value of a sabbatical. I wish you a time that is refreshing, productive, relaxing, and invigorating. I'll look forward to seeing you back in the blogosphere when the time is right. As I have struggled to adjust during my five years of retirement, your blog has been an important read for me. But your sabbatical, well deserved I am sure, points out what you have posted so many times, retirement is an ever changing journey. Your blogs have been informative, inspirational, and interesting, yet despite a successful blog, your retirement is taking a detour. Best wishes and be well. Will look forward to your return if it's meant to be. I'll echo others, Bob; refresh, smell the roses, whatever you feel you need to do. Quite frankly you don't owe anything to any of us; your own life is most important. We'll be waiting if and when you decide to continue, my friend, so take your sweet time. I will miss you, Bob, but taking a break is important. Take care, be refreshed, and don't forget to come back! I think I've been with you almost from the beginning, and I will surely miss you, but I wish you well in your sabbatical. Looking forward to your return. Good for you. You are practicing what you preach. If you force yourself through a sense of obligation to write about a "satisfying retirement," you are at odds with your own message. So now your task is to really do what you say -- allow yourself some free, unstructured time. Try to tolerate any discomfort and be patient. See what happens! I'm sure Betty will have some great ideas! Thanks so much for this blog... may it return. You are making an important contribution. As a retired academic who took several sabbaticals during my career.... I support and honor your decision. I always returned from my time away renewed and refreshed-- full of new ideas, goals and perspectives. Take your sabbatical, Bob, and don't look back. If a return to the blogging world feels right to you, you'll know it and I'd be thrilled to see you back in the saddle. If not, rest assured that the information and advice you've shared over the years has positively impacted my life and, without a doubt, the lives of many others. Your posts have always been thought provoking and the community you've built here is an absolutely delightful one. I'll echo Joe's thanks for including my blog on your blog roll - and for making Satisfying Retirement a bright spot in my day over the past several years. Wherever your sabbatical takes you, I trust that you'll relish the time spent with family and friends, and enjoy the rewards and blessings that your favorite activities will bring. Please be sure to thank Betty for her gracious generosity in sharing you with all of us during these past years - she's a sweetheart. Wishing both of you all of life's best! As a long-time blogger I completely understand and support your decision to take some time off. Sometimes the muse leaves us for a while, and there is nothing worth thinking you *have to* write something based on some arbitrary schedule we give to ourselves. Every writer needs time off now and again to reevaluate what they are doing and why they are doing it, and to figure out the purpose for their writing, both for their readers and for themselves. Enjoy the time away from the computer and with Betty and Bailey, and come back when you're ready. I'm pretty sure that after a while away you'll be filled once again with new ideas and purpose! Awww, I’ll miss you! Enjoy your well-deserved break. Enjoy your time off. Thank you for all these years of good information. Putting yourself on a blog schedule seems like a job to me. Wouldn't it be more fun if you just write when you feel like it? Feels like you were putting pressure on yourself. Just my thoughts on this - I really don't like being on a schedule since I retired.